R. - M. Åhlfeldt and Huvila, I., “Patient Safety and Patient Privacy When Patient Reading Their Medical Records”, in Safe and Secure Cities : 5th International Conference on Well-Being in the Information Society, WIS 2014. Turku, Finland, August 18-20, 2014, Proceedings, Heidelberg, 2014. 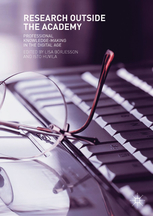 L. Börjesson and Huvila, I., “Contract archaeology”, in Research Outside the Academy: Professional Knowledge-Making in the Digital Age, L. Börjesson and Huvila, I., Eds. Basingstoke: Palgrave Macmillan, 2019, pp. 107-122. 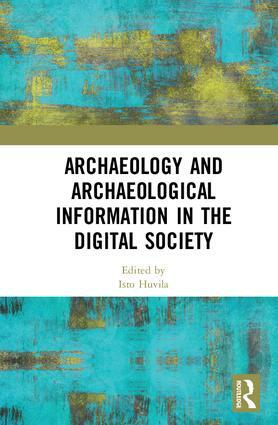 L. Börjesson, Petersson, B., and Huvila, I., “Information Policy for (Digital) Information in Archaeology: current state and suggestions for development”, Internet Archaeology, vol. 40, 2015. E. Davenport, Ginman, M., Marcoux, Y., Sonnenwald, D., Talja, S., and Vatanen, I., “The Concept of the Source in a World of Multiple Channels”, Proceedings of the ASIS\&T 2004 Annual Meeting. Information Today, Medford, p. 567--568, 2004. E. Ernst, Uotila, K., Paalassalo, J. - P., and Huvila, I., “Using a Mobile - Guide System in Medieval Castles, Fortifications and Battlefields”, in The castle as social space, vol. 12, K. Predovnik, Ed. Ljubljana: Ljubljana University Press, 2014, pp. 255–261. G. Widén-Wulff, Nivakoski, O., Francke, H., Huvila, I., Hall, H., and Kronqvist-Berg, M., “New modes of information behaviour emerging from the social web”, in Proceedings of the 2009 ASIS&T Annual Meeting, Vancouver, BC, Canada, 2009. J. Haider, Huvila, I., Cox, A., Francke, H., and Hall, H., “Transformation or continuity? The impact of social media on information: implications for theory and practice”, in Proceedings of the 2012 ASIS&T Annual Meeting, Baltimore, MD, Baltimore, MD, 2012. K. Holmberg, Huvila, I., Kronqvist-Berg, M., and Widén-Wulff, G., “What is Library 2.0?”, Journal of Documentation, vol. 65, pp. 668-681, 2009. K. Holmberg and Huvila, I., “Learning together apart: Distance education in a virtual world”, First Monday, vol. 13, 2008.